What if you could know which lectin foods to eat and which not to eat, with great confidence, all while massively increasing the way your body and emotions and energy feel? We can’t guarantee anything, but it’s been done before with good lectin-free diet information, tactics, and strategy. 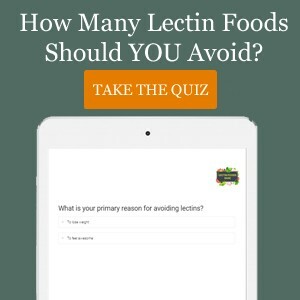 Do You Want A Winning Strategy For Choosing Which Lectin Foods To Eat? Which Foods Are Low Lectin Foods? Which Foods Are High Lectin Foods? Based on recent research, it appears that many symptoms are actually a result of negative reactions caused by lectin foods in a compromised digestive system. These symptoms, while sneakily not appearing immediately after eating, can sometimes occur the following day, making it nearly impossible to notice the trend without already having this information at their disposal. Potential symptoms are all over the place, many times not even appearing like digestive symptoms including headaches, skin rashes, fatigue, brain fog or lack of clarity, and joint pains. There are of course many other potential symptoms, including digestive upsets and many more. The incredible thing is the power that this information gives, as some people have not only used this information to turn off food intolerance symptoms (by not accidentally activating them with problem lectin foods), but also this empowers us to search deeper for answers about what is happening and allows us to take action to solve it. Thankfully, here at Lectin Foods Base, you’ll find a wealth of helpful information. Lectins are found in many, many foods. Not only are they found in all sorts of fruits, vegetables, grains, and many more, but they can even be found in meat. So to avoid lectins completely is out of the question. What you really want to know is which foods with lectins to avoid based on how they affect you in particular. And unfortunately, food sensitivity tests have often been shown to be completely inaccurate. They have the possibility of both false positives and false negatives. What this means is that you could be told a food is a problem, but in reality, it’s not. It also means you could be told a food isn’t a problem, but it is. Let’s say there’s a 5% chance of this failure. That means in this made up scenario, the test gives incorrect results to 50 people for every thousand. Since this is like rolling dice, there is a far better and more accurate way. If you were to listen to every single “bad thing” about this food or that food from every “expert” in the world, you wouldn’t have anything left to eat. You’d just starve. Really, what you want to do is to find which foods negatively and positively impact you the most, then act in good strategy. 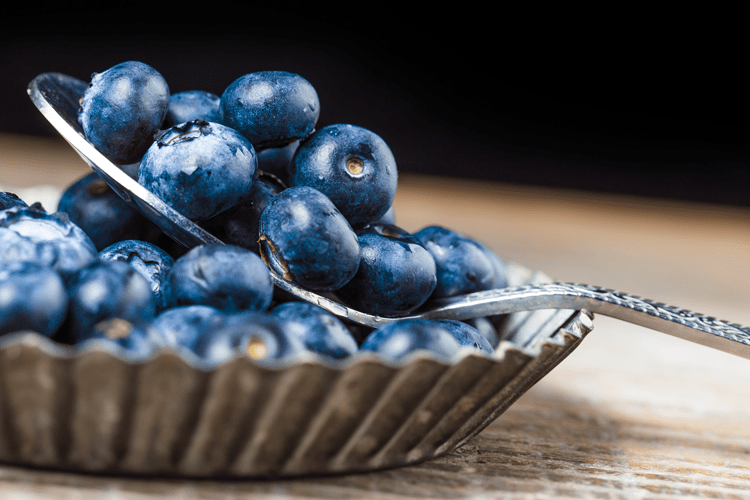 Blueberries besides being highly delicious and making a great snack or addition to smoothies are a powerfully healthy fruit that's even considered a superfood. They are high in antioxidants and nutrients which protect your body and have anti-inflammatory effects. Providing your body with great nutrition including that in blueberries is a great way to help support your body in its natural healing and protection process. Chicken is a protein-packed white meat that is often a staple in many diets. One of the reasons so many fitness addicts love adding protein is because when properly digested by the body, protein is broken down into amino acids which have been called "the building blocks of life." These amino acids can help the body repair all sorts of damage including the gut and broken down muscle tissue. It's important to note that protein must be broken down in order to be utilized. Lemon is a great addition to the top of chicken but also boasts numerous health benefits including nourishing vitamins and minerals and is, of course, a natural food that can help support both your body and immune system. Kale is an incredibly powerful leafy green that is often revered for its nutrient dense health-boosting qualities. It makes a great addition to smoothies so that you don't even need to struggle to eat a large amount of it - you can drink it down in seconds. Of course, we can’t forget about bacon. It's a salty and delicious meat that can add flavor to many different meals, even a salad. Bacon is not likely to be a food sensitivity and can be a nice addition. Potatoes are a member of the nightshades group, which is considered to be a common although lesser known food sensitivity. Sweet potatoes, however, are not included in this group as they are not nightshades. Potatoes contain chitin-binding lectins which have been said to be similar to that of wheat germ. Beans are another food that can be a common lectin food intolerance. They contain a massive amount of lectins when raw, which is why eating just a few raw beans can create a reaction similar to food poisoning. When cooked, the lectin content in beans decreases significantly to become edible, however, not completely. Some lectins are resistant to heat and thereby, are still in the beans and able to cause trouble. Beans can cause all sorts of difficulties for this reason. Peanuts are another food that can be a common intolerance. They are in nutrition and science actually not considered nuts but rather legumes. Legumes are a common category of foods that can cause all sorts of difficulties and negative reactions. Brown rice is often thought of as a more nutritious version of white rice because it can contain more vitamins and minerals. However, it also contains significantly more anti-nutrients. Choosing white rice as an easier option or sprouted brown rice also known as germinated brown rice can be beneficial. 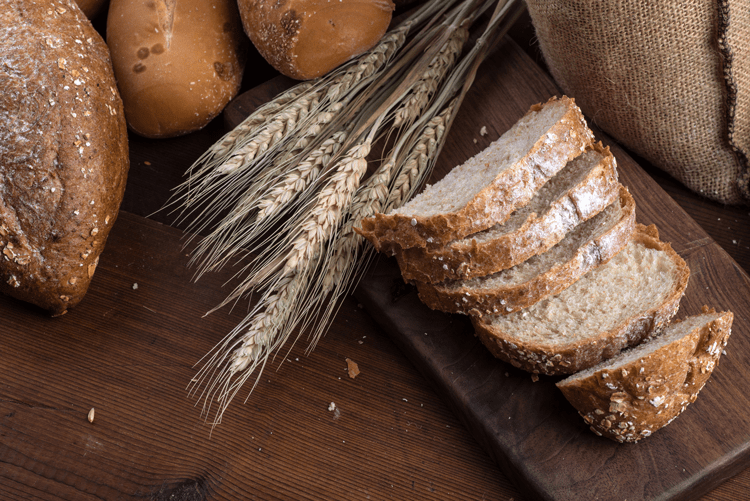 Bread can be a high lectin food that can cause all sorts of difficulties. Bread often contains gluten, which is a type of lectin. Sprouted bread can be a better option, although still may cause difficulties. There is no way to know how eliminating these foods will make you feel until you try cutting out the ones that can really change your stars. There’s nothing even daunting about trying for a short period of time, like 2 weeks, because you only are looking to go for that amount of time to see, then afterward, you can do whatever you want. But you’ll have the ability afterwards to decide what to do based on how awesome you feel! Sprouting is perhaps the most well-known way to reduce the number of anti-nutrients in the foods you're eating and can also help to unlock additional nutrients. There are many different foods that can be sprouted and make the food not only more nutritious, with fewer anti-nutrients, but also more digestible! Sprouted pumpkin seeds, sprouted brown rice, and sprouted bread are just a few of the many possibilities for sprouting. These options exist in food stores with some variety, often by health-conscious companies. Alternatively, you can also take matters into your own hands and sprout your foods at home, however, this process tends to be very time consuming and many choose to simply buy it sprouted in their local grocery or health food store. Another way to reduce the impact of lectins is via supplementation. Certain supplements, such as d-mannose and n-acetyl glucosamine, for example, are capable of binding with the anti-nutrient, which appears to thereby render it useless and prevent it from causing damage to the gut. The difficulty with this is that there it is not known how much is necessary to effectively block lectins and furthermore how effective it is even capable of being when talking about making a huge impact instead of just making something better. The gut is an incredibly important part of our health, and many problems that occur in the body are in one way or another connected to the gut. Of course, all of the food and nutrients you eat go through your gut, so naturally it's very important. It also houses an immense amount of bacteria, many of which are helping you break down foods to assimilate nutrients and protect you from illness and invaders. When the gut becomes compromised, lectins in foods can wreak massive havoc. The lectins in foods can cause food sensitivity or otherwise known as food intolerance reactions that are often simply labeled symptoms. Unfortunately, especially because of the delay of these reactions which can even be 24 hours later, many people are not even aware that specific foods are causing big problems and frustrations for them, and so are not armed with the knowledge to do something about it and make themselves feel unbelievably better. There is also a connection between lectins and inflammation as the lectins can extensively drive up inflammation as a result of the person eating certain foods. Chronic inflammation is linked to chronic disease (one can think of it as a chronic state of dis-ease) and many people take action to reduce chronic inflammation in natural ways. Good strategy in foods and supplements can be an incredible solution to doing this. There are plenty of foods that contain lectins. Thankfully, not all foods with lectins will cause difficulties. Because of this, we can understand that it's not about avoiding every single possible food, but rather about strategically picking which foods to avoid based on how they affect you and how you feel physically, emotionally, and mentally. Our strategic lectin avoidance diet which you can find linked on this page goes into far more depth with an extensive list of lectin foods to avoid. Also in good strategy, you can choose which foods to eat that will provide you with plenty of nutrition and make your body feel good. There are lots of "healthy" foods that could actually be causing you to feel way worse than you need to feel. This is why unfortunately many people try "eating healthy" over and over again, but constantly cannot find that they can stick with it. It inevitably is making them feel worse in some ways, or maybe it is just not making a profound impact that they feel so much better that they WANT to keep eating that way. 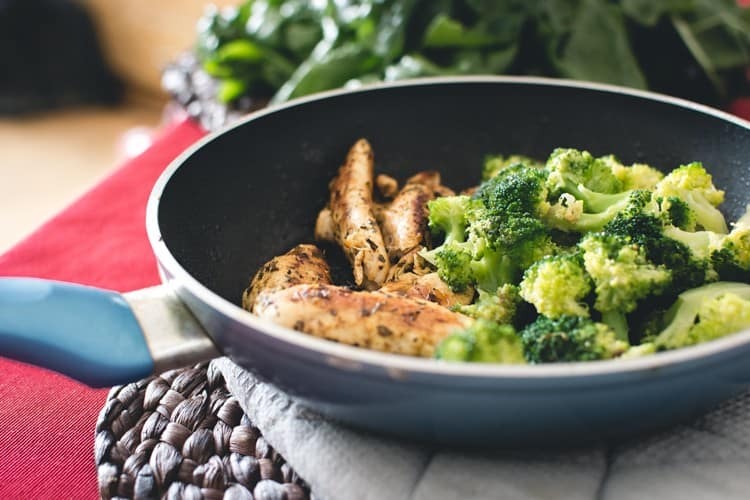 To try a strategy for what to eat and not to eat that can work even in cases of feeling absolutely terrible, drained, depressed, unhealthy, sick, and completely frustrated and looking for answers, check out the ultimate guide to the lectin-free diet.